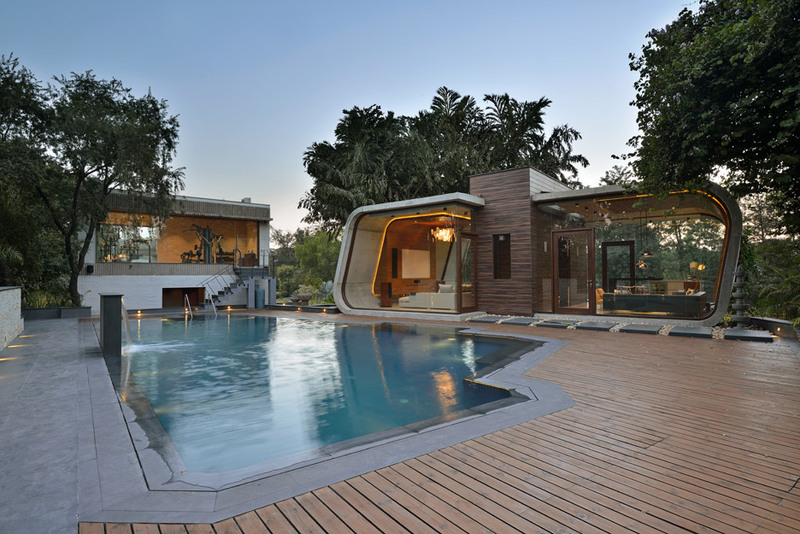 A thick loop of concrete forms the walls, flooring and roof of this pool house, completed by Indian firm 42mm Architecture in the garden of a New Delhi residence (+ slideshow). The pre-stressed concrete structure made it possible to slightly cantilever the structure over the edge of its sloping site. Other recently completed pool houses include a bulky concrete structure in Madrid and a building with a folded wooden ceiling in Melbourne. 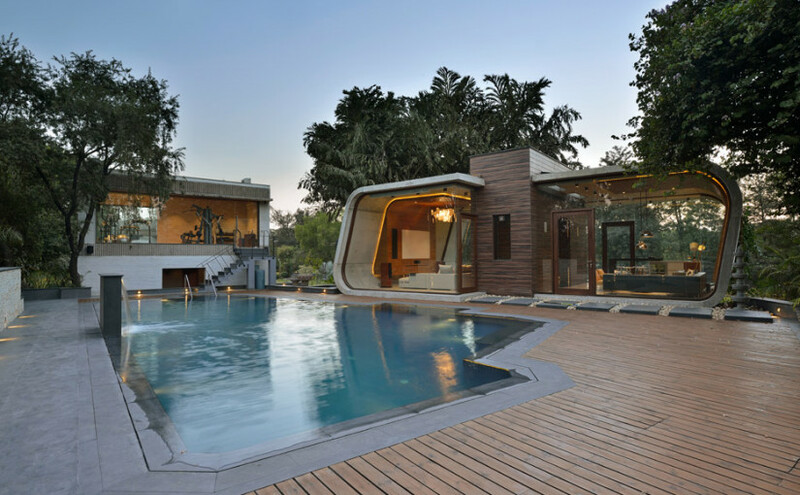 “This combination of wood and concrete renders an expression which welcomes its guests while dazzling them,” added 42mm Architecture. “Asserting its presence with a singular, bold and robust frame, this house sits impressively within its surroundings,” it added. A traffic policeman wears a mask to protect himself from dust and air pollution as he signals to drivers in New Delhi, India, December 23, 2015. 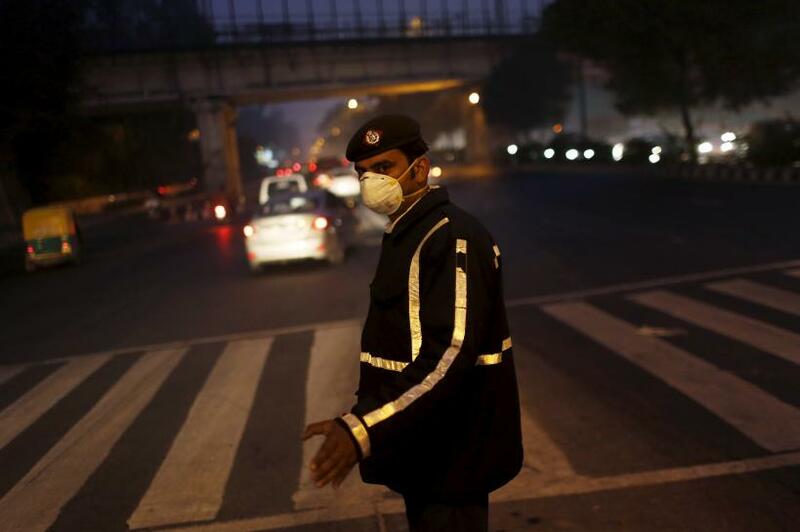 A traffic policeman wears a mask to protect himself from dust and air pollution as he stands on a road-divider in New Delhi, India, December 23, 2015. The World Health Organisation said last year that 13 of the world’s 20 most polluted cities were in India, with New Delhi the worst. Instead, the plan will call for enforcing bans on what some environmentalists regard as relatively minor sources of pollution, including burning of garbage and construction dust.